Just like humans, pets must also watch their diet. As the pet owner, it is your responsibility to make sure that your pet is healthy. If you own a cat, you have to know when it is time to restrict what he eats or if you already need to find ways on how to fatten up a cat. Obesity in cats is a major problem in the US. This shortens the life span of your pet and greatly affects his health. Cats are more likely to get overweight than dogs. You have to talk to a veterinarian before you fatten your pet. Make sure that this is really needed. Your vet can check the overall health of your pet and can advise you on whether or not you ought to push through with the plan. It is important that you watch what your cat eats and how much exercise he gets. Never leave your cat’s food bowl full all the time. Give them at least two meals per day. Your veterinarian is the best person who can assess how much food and how often you should feed your feline friend. How do you make a cat exercise? The best way is to play with them. Since you can’t do it all the time, find other ways to encourage the cat to move more often. For example, you can place his litter box or food bowl at a far point where the cat usually stays. You have to remind your cats to drink water since they are not that enthusiastic about it. It is important that they get enough water every day. Aside from giving them water to drink, you can also give them wet cat food. Top 10 Dirty Dog Food Industry Secrets. Prepare to have your mind blown! Every dog owner needs to know these 10 secrets of the dog food industry. I'm truly Gobsmacked ! If the vet tells you that your cat needs to gain weight, you have to start feeding your feline friend with more calories. You can begin by adding 25 percent of calories to your cat’s daily diet. If the cat was starved for a long period of time, do not force him to eat normally at once. The process, in this case, is gradual. Your veterinarian can create a list of how much calories you need to feed your cat, especially when you are only beginning with the process. Your vet will also give you the best types of food that are effective in addressing concerns about how to fatten up a cat. 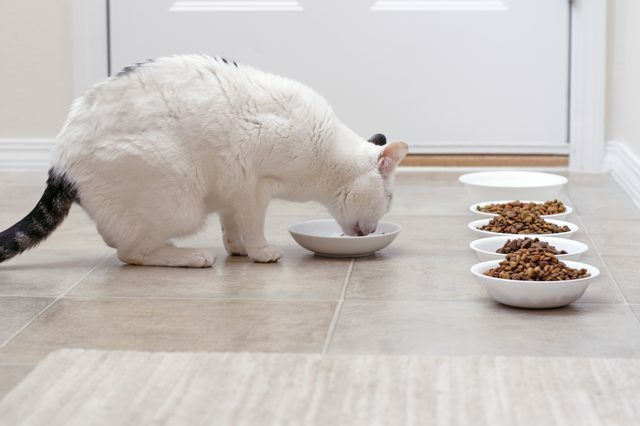 You need to divide the daily caloric needs of your cat into 6 small meals per day. You can increase the portion and decrease the number of meals that you give your pet through the days. Generally, most cats are picky eaters. In order to make them fatter, you have to give them foods that are healthy and they are fond of. Kitten food is rich in protein and you can give it to cats of all ages. You can encourage them to more by adding canned food to their food bowls. Choose the types with higher fat content, such as liver, sardine, and duck. Avoid the kinds with by-products, soy, corn, and wheat. 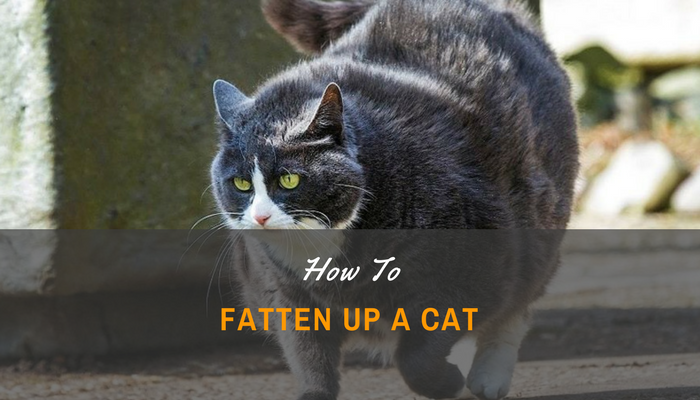 In making your feline friends fatter, always prioritize what’s healthy and best for them. Talk to your veterinarian to understand the problem and know the ways on how to address them.